This worksheet can be used in preparation for writing nursing workplace documentation. 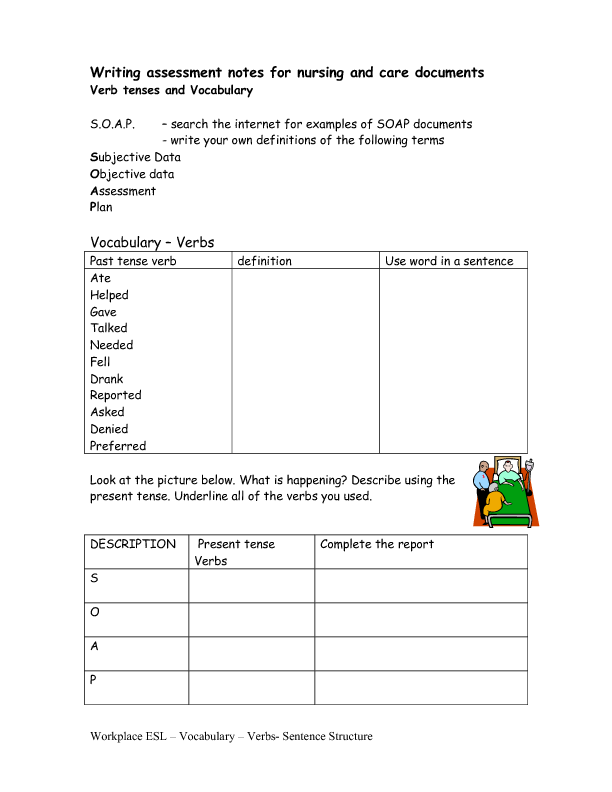 It includes exercises using focused patient care vocabulary, sentence structure and past tense verbs. It uses the SOAP (Subjective data, Objective data, Assessment and Plan ) system of nursing care documentation. The tables allow the learners to experiment with the vocabulary in changing it from present to past tense. 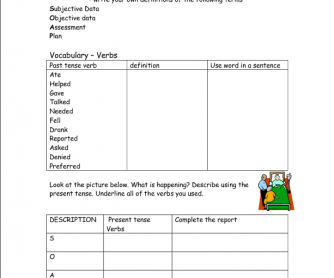 A Basic English sentence structure template is used to help observe the patterns of sentence structure.